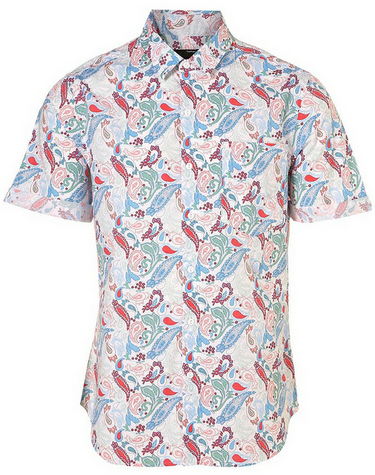 Graphic print is a big buzzword is this season’s men’s shirt fashion – pioneered by Givenchy at the Paris Fashion Week. Beautiful graphic print patterns, such as birds and trees on floral backgrounds, in refreshing shades of green, white, pink and purple, are the shirts to be seen in this summer. Despite being traditionally associated with women’s dresses and stilettos, animal print is playing a central role in this season’s shirt fashion. Using anything from zebra and tiger, to leopard and cheetah, designers are making full use of animal prints on the catwalks this year. 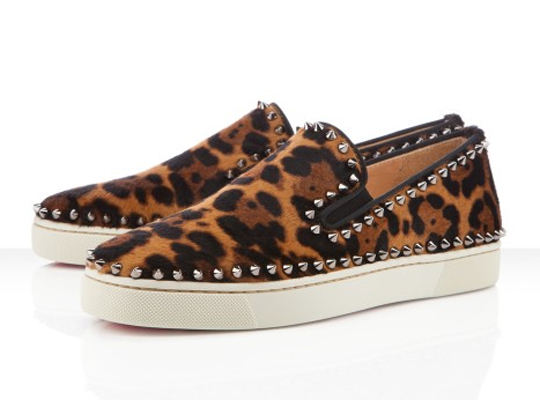 And it’s not just shirts that have had an animal print makeover this season. Tiger print men’s shoes and boots have also been making their way down the runway. 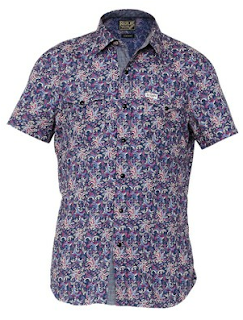 It’s never too long before the paisley shirt makes its way back into the limelight, and summer 2012 is no exception. Paisley is a signature pattern for many of the high-fashion brands, including G Star. 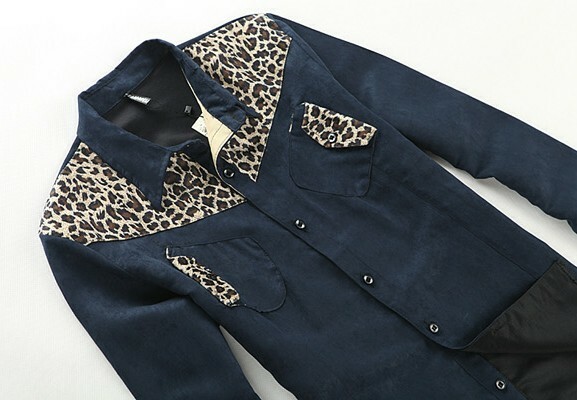 A G Star shirt can range from plain and striped designs, to bolder prints and paisleys. 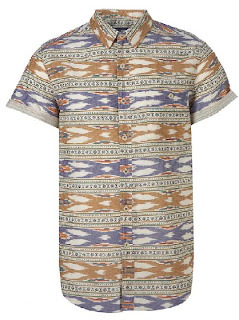 iKat print (short for Interactive Kiosk Attack Tool) is another buzzword in this season’s shirt fashions. For those who have never heard of the style, iKat refers to a process of dyeing in which dye-resistant bindings are used before the construction of the cloth and the dyeing process, creating multi-coloured hues and elaborate patterns. And with this year’s emphasis on eye-catching, striking, multi-patterned styles, the iKat style is certainly making its mark on both the catwalk and the high street. 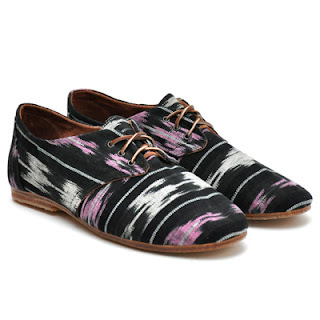 iKat patterns are being found on men’s trousers and even boots this summer, meaning you can be as fashion forward as you like. 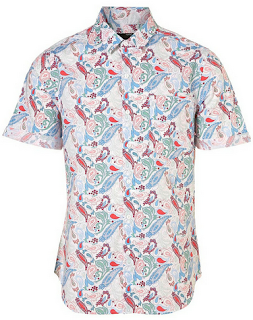 With many new types of shirt hitting the shops, finding the perfect one for you could require a great deal of thought. Whether you choose to embrace the current trends or stick with plainer shirts will depend on your personal preference, but you should always invest in a shirt which is made from high quality materials, and has a good level of fit to ensure you look your best. I like paisley so much! 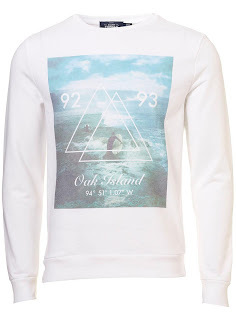 The use of non iron shirts can be useful in appearing to be more hip and trendy for males. 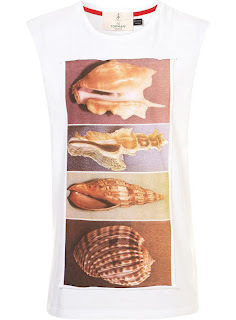 When it comes to fashion, it is still important to consider your comfort in wearing these stuffs.